A report on the potential science value of a lander on the surface of Jupiter's icy moon Europa has been delivered to NASA, and the agency is now engaging the broader science community to open a discussion about its findings. 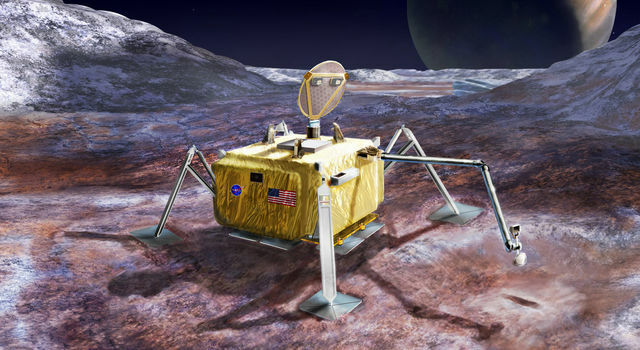 In early 2016, in response to a congressional directive, NASA's Planetary Science Division began a pre-Phase A study to assess the science value and engineering design of a future Europa lander mission. NASA routinely conducts such studies -- known as Science Definition Team (SDT) reports -- long before the beginning of any mission to gain an understanding of the challenges, feasibility and science value of the potential mission. In June 2016, NASA convened a 21-member team of scientists for the SDT. 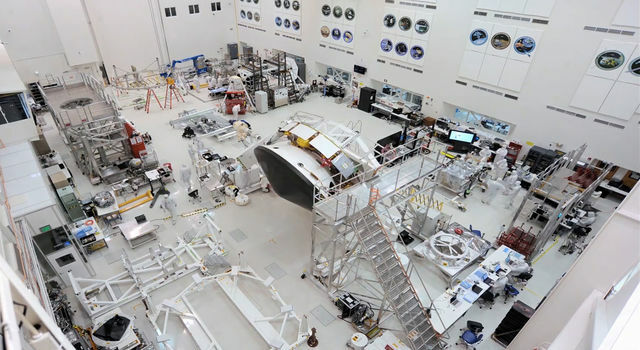 Since then, the team has deliberated to define a workable and worthy set of science objectives and measurements for the mission concept, submitting a report to NASA on Feb. 7. The report lists three science goals for the mission. The primary goal is to search for evidence of life on Europa. 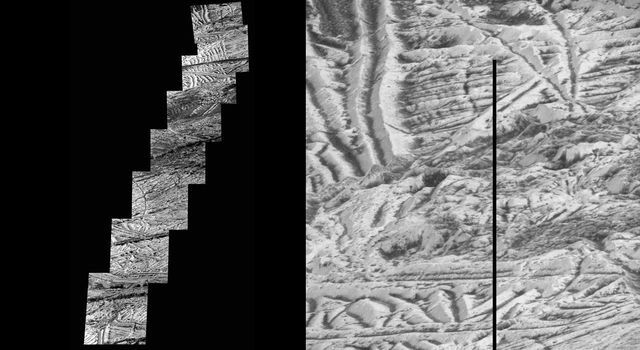 The other goals are to assess the habitability of Europa by directly analyzing material from the surface, and to characterize the surface and subsurface to support future robotic exploration of Europa and its ocean. The report also describes some of the notional instruments that could be expected to perform measurements in support of these goals. Scientists agree that the evidence is quite strong that Europa, which is slightly smaller than Earth's moon, has a global saltwater ocean beneath its icy crust. This ocean has at least twice as much water as Earth's oceans. While recent discoveries have shown that many bodies in the solar system either have subsurface oceans now, or may have in the past, Europa is one of only two places where the ocean is understood to be in contact with a rocky seafloor (the other being Saturn's moon Enceladus). This rare circumstance makes Europa one of the highest priority targets in the search for present-day life beyond Earth. 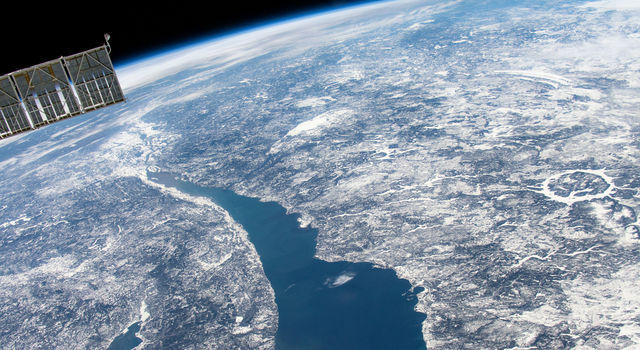 The SDT was tasked with developing a life-detection strategy, a first for a NASA mission since the Mars Viking mission era more than four decades ago. The report makes recommendations on the number and type of science instruments that would be required to confirm if signs of life are present in samples collected from the icy moon's surface. 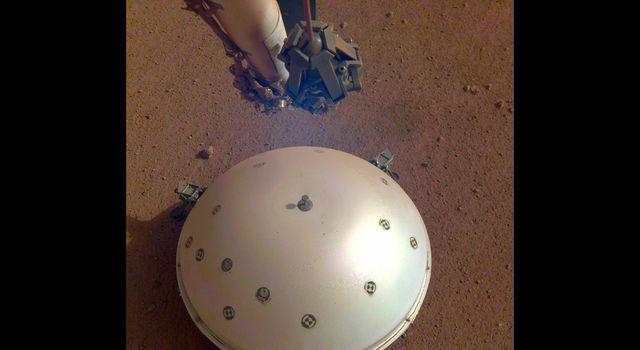 The team also worked closely with engineers to design a system capable of landing on a surface about which very little is known. Given that Europa has no atmosphere, the team developed a concept that could deliver its science payload to the icy surface without the benefit of technologies like a heat shield or parachutes. The concept lander is separate from the solar-powered Europa multiple flyby mission, now in development for launch in the early 2020s. The spacecraft will arrive at Jupiter after a multi-year journey, orbiting the gas giant every two weeks for a series of 45 close flybys of Europa. The multiple flyby mission will investigate Europa's habitability by mapping its composition, determining the characteristics of the ocean and ice shell, and increasing our understanding of its geology. The mission also will lay the foundation for a future landing by performing detailed reconnaissance using its powerful cameras.